SMBS are Settling for Technology that underdelivers, New Survey Reveals. 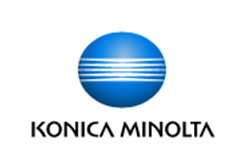 Countering this, Konica Minolta’s Workplace Hub is Set to Simplify It for Customers | Industry Analysts, Inc. This entry was posted in Konica Minolta and tagged Konica Minolta, SMBs by IA Staff. Bookmark the permalink.